This is brilliant. This kid has nailed just about every single one. This one of my many posting to Facebook from a friend of mine. I just had to share it with everyone. 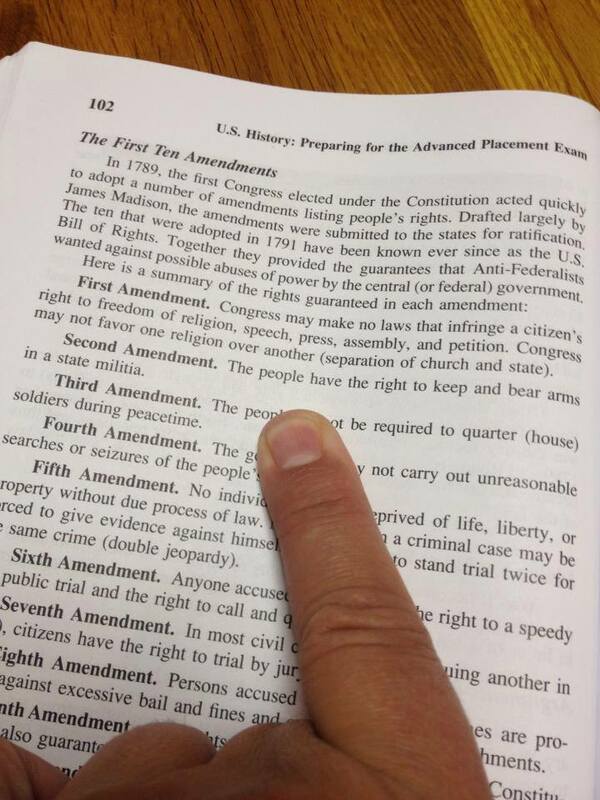 Via Instapundit, a photograph of a American high school text book that states the 2nd Amendment to the US Constitution give the right to bear arms "in a state militia." ..which is a horse of an entirely different colour. I repeat the call: If anyone know from which text book this is, I would like to have the name and publisher. Because this is a blatant recast of the founding document of this country. Author John J. Newman has some explaining to do. His textbook, United States History: Preparing for the Advanced Placement Examination, literally rewrites the Second Amendment to the United States Constitution. On page 102 of Newman’s book (page 134 of the PDF version), the author cuts the Second Amendment in half and leaves out several key words. 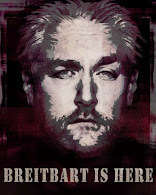 Please contact his publisher and protest this blatant falsification of our Constitution. Maryland Lt. Governor candidate and state delegate Jeannie Haddaway said Texas Governor Rick Perry’s media onslaught of the state’s business climate and job growth potential is well-deserved as the David Craig campaign for Governor released today a comparison of the two states’ business climates according to third-party sources. Maryland’s average ranking is 32 compared to Texas’s 4 when compared to other states. Preventing Maryland’s free fall to the bottom quintile overall in the national business climate comparisons are factors including quality of life, education attainment levels and proximity to research and development facilities such as universities and federal government installations. The O’Malley – Brown Administration frequently cite narrow metrics in categories other than tax burdens in order to avoid responsibility for the damage they have caused in driving away small businesses at rates that are among the highest in the region and have left the state with just three Fortune 500 companies. These other metrics are largely based on benefits derived from world-class universities and a high concentration of research and development activity stemming from the post-World War II expansion of the federal government. Financial service firms, business media outlets, think tanks and site selection consultants routinely rank states’ economic development potential according to a variety of factors. The Craig campaign released the most recent annual business climate studies from Chief Executive Magazine, CNBC, Forbes, Moody’s and the Tax Foundation. Averaged together, Maryland falls 28 notches below Texas. In some cases a comparison is not even possible, since Maryland is not included in top-performing states in two reports issued this summer. According to corporate relocation industry media outlets Area Development Online and Site Selection magazine, Texas ranks number one in the country. Harford County Executive David Craig said the Lt. Governor will have a meaningful role in his Administration with economic development being a much-needed focus. “Governor Perry’s visit to Maryland is a wake-up call to every anti-business politician in the state,” said Craig. “The rain tax alone has become a national embarrassment and one of the most blatant anti-business policies Marylanders have ever seen. My Administration will review, reduce or repeal any tax, fee and toll that impede job growth."